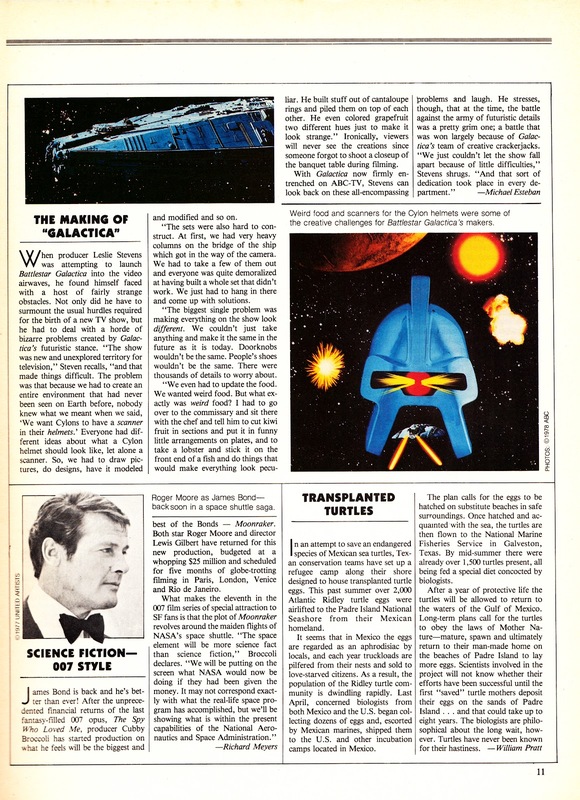 Here's a brief FUTURE magazine news piece (issue 7, January 1979) on BATTLESTAR GALACTICA. 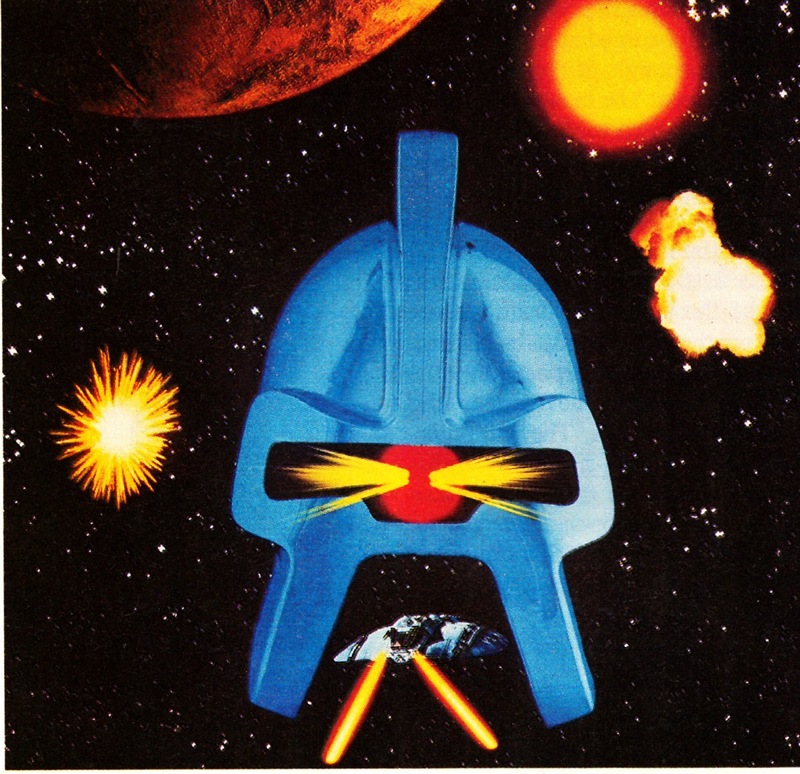 The most interesting bit, however, is the seldom-seen (and tricksy-for-the-time) accompanying Cylon picture. I don't remember seeing it anywhere else although, presumably, it was supplied by Universal's picture publicity people and not concocted by Starlog's own designers.